Dr. Larry Posner, MD is the founder and principal at North Bay Allergy and Asthma Medical Associates. Dr. Posner attended medical school at the University of Southern California, and then completed his pediatric residency at the University of California, Irvine, before completing his fellowship training in Allergy and Immunology at the University of California, San Francisco (UCSF). Dr. Posner is Associate Clinical Professor of Pediatrics at UCSF and Adjunct Clinical Professor of Allergy and Immunology at Tuoro University in Vallejo, California. Besides running a clinical practice for the past 27 years, Dr. Posner is also founder of North Bay Clinical Trials, and has participated in over 40 clinical research studies over the past 15 years. He currently serves as immediate past president of the Western Society of Allergy, Asthma and Immunology. 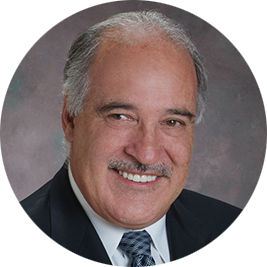 His former leadership positions include Chief of Staff at Queen of the Valley Medical Center, specialty delegate to the California Medical Association, President of the Northern California Allergy Association and executive board director of the California Society of Allergy, Asthma and Immunology. He is a founding director for Napa County Asthma Coalition and has served on the board of directors for the local American Lung Association Chapter. In 2006, he co-founded West Coast Allergy and Asthma Network. Dr. Posner’s major interests are the treatment of pediatric asthma and food allergy, and he has served on the scientific advisory board for Mylan pharmaceuticals and for Astra Zeneca. 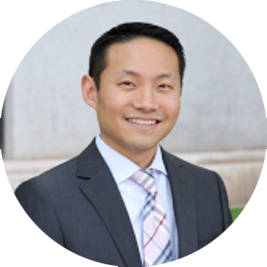 Sam Ahn, MD joined North Bay Allergy & Asthma Associates in August 2017. Dr. Ahn has trained at some of the most elite institutions in the United States. He graduated from John Hopkins University with a degree in Biology. He then received his MD from Harvard Medical School and completed his Internal Medicine Residency at Yale in Connecticut. He completed his Allergy & Immunology Fellowship at Mount Sinai Medical Center in New York City. During his fellowship, he authored several abstracts and scientific papers relating to both food allergies as well as Common Variable Immune Deficiency (CVID). Prior to joining North Bay Allergy and Asthma Associates, Dr. Ahn practiced in Phoenix, Arizona for 7 years. While there, he was the Vice President of the Arizona Allergy & Asthma Society. He received numerous accolades, including “America’s Top Physician” several years. Other awards include Patient’s Choice Award, Compassionate Doctor Award and Castle Connolly’s Top Doctor Award. Most recently, he received the Top 1% of Professionals award. Dr. Ahn has a special interest in volunteering his medical services throughout his career and has volunteered in medical clinics in various countries in Africa, as well as refugee clinics and free clinics here in the US. He was raised in the New York City area but has family in the Bay Area. Joining him in the move to Napa are his wife Michelle and young son Davis. Outside of medicine, his other interests include music, art, traveling and his three dogs.